Google Maps now has an accurate address for Freshwind Farm! Please feel free to use their directions as needed. 4) Turn right onto Hatch Lake Rd. just across the small bridge. 2) Turn left onto Damon Rd. 3) Damon Rd. becomes Eatonbrook Rd. at a stop sign in the village of Erieville. Proceed straight through the intersection. 4) Turn right on Hatch Lake Rd. 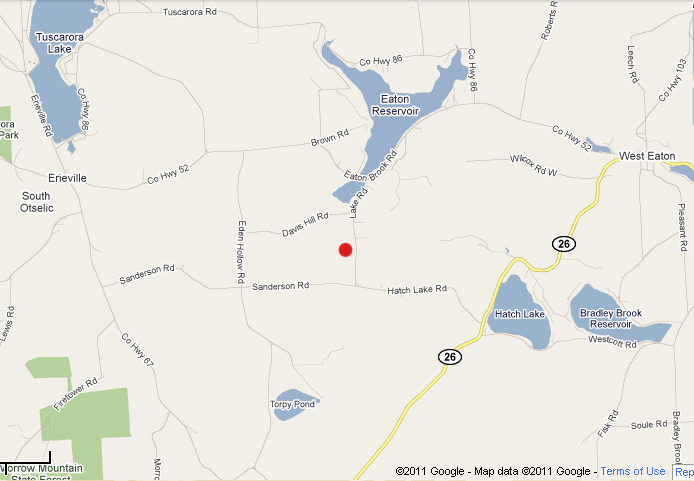 4) Turn right onto Hatch Lake Rd.